Selected club races are designated part of this year-long series. Points awarded to the top finishers for these designated races are used to determine overall and age-group champions for the year. For questions concerning Championship Series rules or standings, contact the series coordinator. 2019: Eleven races. No rule changes. R1. The number, Q, of races needed to qualify for each series shall be half the number of series races actually conducted, timed, and scored, rounded up to a whole number if necessary. Only races of 10 miles or less count for age group 15-19, and only races of 10 km or less count for age group 1-14 (but youth runners may still qualify in the open division). R2. You must be an MCRRC member on the day of the race to be counted in the series for that race. 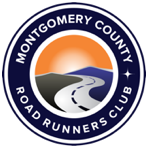 You may join MCRRC on race day at the race venue, before or after the race, and be counted for that and subsequent (but not prior) races. Non-members are not counted in determining series standings. R3. Your age group for the year will be determined by your age on the day of your first race in this series. You must disclose your birthdate when registering for your first series race to be eligible for age group prizes. Age group will be determined separately for the Championship and Cross-Country Series. R4. In each race, points will be awarded to the top ten males and females overall and to the top ten males and females within age groups. The first-place runner will receive ten points, the second-place runner will receive nine points, and so on down to the tenth-place runner who will receive one point. R5. Your series score is the sum of your Q highest individual race point scores. Ties among point-scoring qualifiers and potential award winners shall be broken according to the tiebreaker rules below. R6. At the end of the year, open and age group prizes will be awarded in male and female categories as shown in the tables below. There shall be no double awards; overall award winners do not also receive age group awards. R7. Order of finish in series races shall be based upon gun time (first to the finish line), not chip time. R8. Race results and series standings become official and final for the purposes of series scoring 10 days after they are posted on mcrrc.org. Any corrections or protests must be received by the race scorer (racesupport@mcrrc.org) AND series coordinator (championship_series@mcrrc.org) within those 10 days. If changes in standings result from such corrections, 10 more days will be allowed for protests only of the changes. R9. Interpretation of these rules, resolution of issues not explicitly covered by these rules, and settlement of disputes is at the discretion of the series scorer. If the scorer should have a conflict of interest in a dispute, he shall recuse himself and refer the decision to the President of MCRRC. T1. Head-to-head competition. The tied runners shall be scored 10-9-8-etc in EVERY race in which they ALL participated as if they were the only participants, and the total tiebreaker points shall determine rank. T2. Next best. This tiebreaker score is the sum of your Q+1 highest individual race point scores, as in R5 but counting one more race. Not running a (Q+1)st race counts as -1 points. T2 is repeated with Q+2 races, Q+3 races, etc, until the tie is broken or none of the tied runners has run that many races. T3. Total distance. The highest sum of the distances of all races completed, as listed on the standings page. The series scorer may determine that one of two races advertised as the same distance is longer, provided they are not both certified courses. T4. Total time. The least total time in all races completed. T5. If a multi-way tie is partially broken by one of these rules (including any stage of T2), any remaining subsets of tied runners shall be broken starting over at T1.